On the first day of 2017, Britain lost one of its most influential scholars and distinguished citizens. Sir Tony Atkinson was born on September 4, 1944 in Caerleon Wales and attended Cranbrook School in Kent. He later studied at Cambridge where he met Judith Mandeville, his wife and mother to their three children Richard, Sarah and Charles. 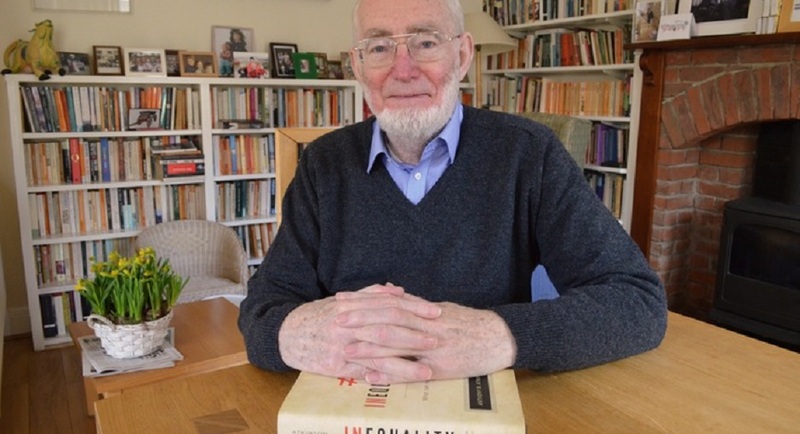 Tony Atkinson was to have a very profound influence on the landscape of today’s teaching and research in economics. He resurrected in the late nineteen sixties research on the measurement of income inequality, an area where prior contributions dated to the work of Arthur Pigou and Hugh Dalton in the first two decades of the twentieth century. Atkinson’s Theorem provides the formal relation between non-intersecting Lorenz curves and the quantification of inequality using index numbers that exhibit a property known as social inequality aversion. 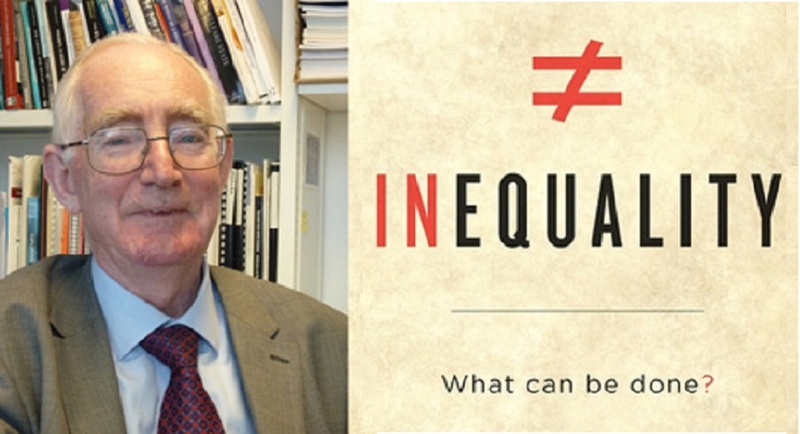 The family of inequality indices introduced by Tony came to be known as the Atkinson Family, and are discussed in many disciplines other than economics. Tony’s work in this area resonates for instance in the mathematical theory of majorization, and is discussed in Marshall, Olkin and Arnold’s famous text: Inequalities: Theory of Majorization and its Applications. Tony Atkinson was a Member of the Royal Commission on the Distribution of Income and Wealth in the two years preceding the dissolution of the Commission by Mrs Thatcher’s conservative government in 1979. Tony was also a Member of the Conseil d’Analyse Economique, advising French Prime Minister Lionel Jospin’s government in the years 1997-2002. Among other important publications, every economics graduate student in the last thirty-five years studying the economics of the government sector will have been assigned readings from various chapters of Lectures on Public Economics, co-written with Joseph Stiglitz and published in 1980. The second edition, dated 2015, testifies to the value of this seminal text, which remains unrivalled in its scope and clarity. The famous Atkinson-Stiglitz Theorem regarding taxation shows that indirect commodity taxation is of no use at all when the income tax schedule is chosen in an optimal manner. In their 1983 text Parents and Children authored by Tony Atkinson, Alan Maynard and Chris Trinder, the authors examined the association between the incomes of a sample of workers in the city of York and their children. This monograph was to have a lasting influence in the field of labour economics, where it has now become routine work to estimate the correlation between parents’ incomes with those of their children. The field of Micro-Simulation, where researchers try to simulate the effect of various tax or subsidy reforms on the distribution of income or earnings, has largely resulted from Tony’s pioneering efforts together with Holly Sutherland. Their joint work can be traced back to the development of the Taxmod software. Tony contributed significantly in many other areas of economics, including health economics, macroeconomics, unemployment and the welfare state. Less known perhaps is his work with Joseph Stiglitz on the economics of technical change, where he revisited the Infant Industry argument. A final contribution of fundamental importance was Tony’s research on the distribution of top incomes across time, space and genders, which he pursued together with various colleagues including Thomas Piketty, Emmanuel Saez, Alessandra Casarico and Sarah Voitchovsky. Tony was a very kind, quiet and compassionate person—in short a true gentleman. For those of us who were fortunate enough to have met and known him, he has undoubtedly changed our lives—for the better. For me, Tony will always symbolize the best side of Britain.